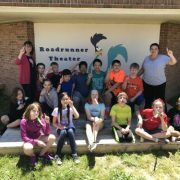 The Norge Elementary School Rube Goldberg Team has won first place in The Elementary School Rube Goldberg Machine Contest®, presented by Mad Science® – in collaboration with Rube Goldberg Inc., winning $1500 for the school! The Norge team competed against others from all over the United States as well as other countries like the Netherlands, the United Kingdom, and China. 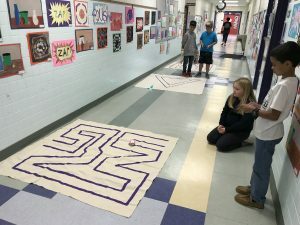 Each year the contest challenges teams of students in grades K-6 to design and build a Rube Goldberg Machine. 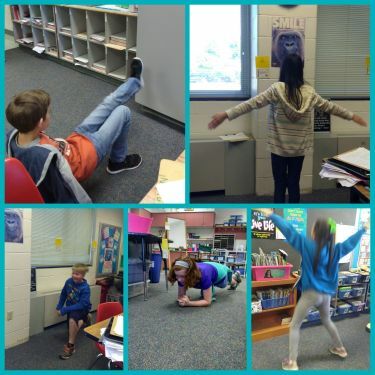 This year’s task was to “apply a Band-Aid® Brand Adhesive Bandage”. 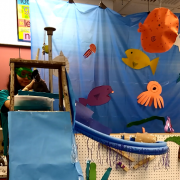 The NES team combined their creative and critical thinking skills to complete this challenge with a whimsical, humorous, under-the-sea-themed machine, complete with not one, but two programmed robots! 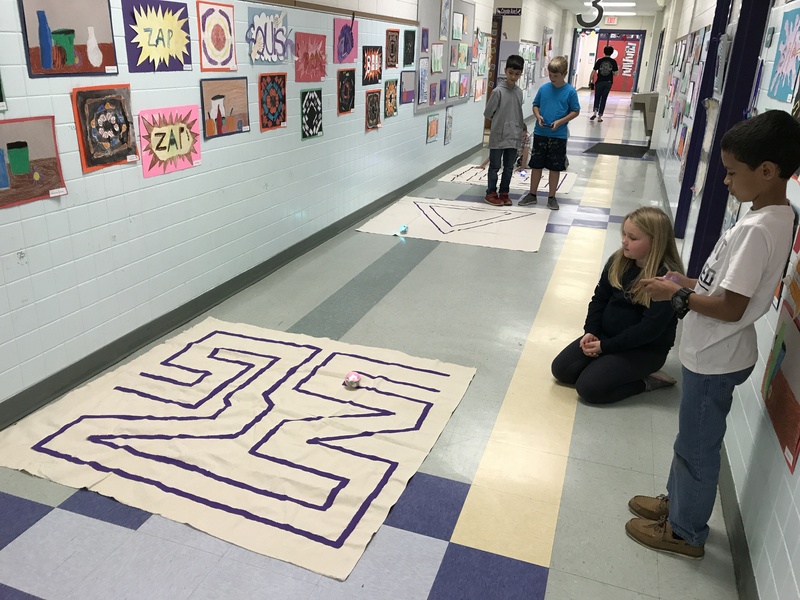 The students not only learned a great deal about science and engineering, but also about the importance of collaboration and the power of perseverance. 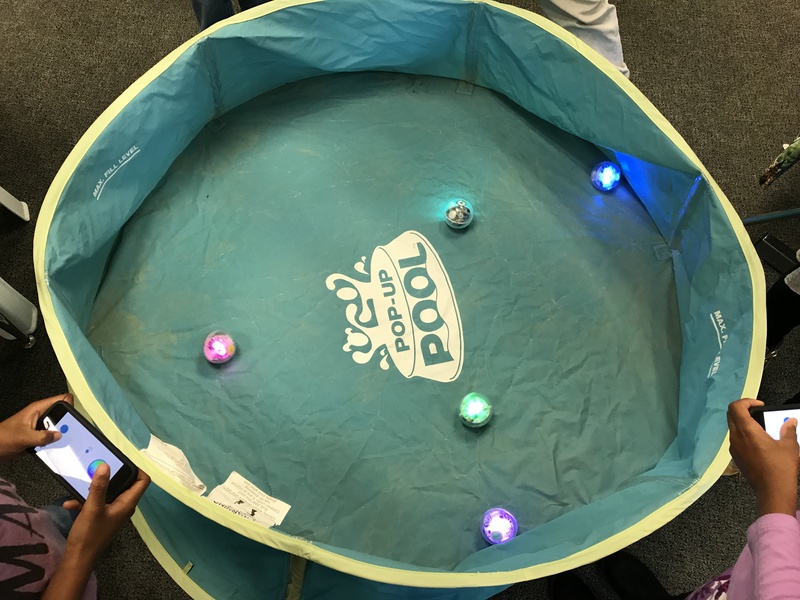 During May, students in all grades are getting a chance to “drive” and “code” Spheros (spherical robots) during computer lab centers. Kindergarten and first grades are driving the Spheros inside an empty baby pool. 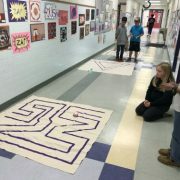 Second through fifth graders are driving and coding them through mazes painted on mats. 5th graders in Mrs. Collins’ class get some exercise while practicing their problem solving skills! 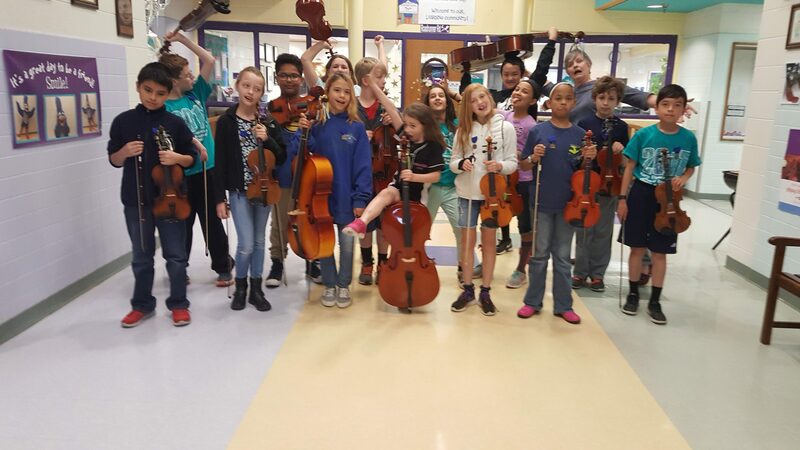 On Saturday, March 25, Blayton Elementary School hosted our 5th grade orchestra Solo Festival. 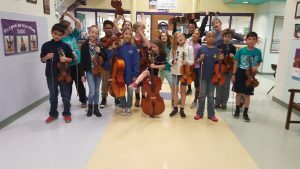 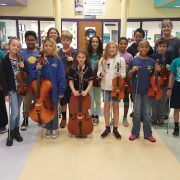 This optional orchestra event required that 5th graders choose two pieces, memorized them, and perform them for a judge. 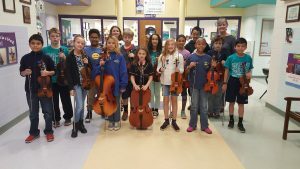 These outstanding orchestra students all received the highest score possible and were awarded a medal. 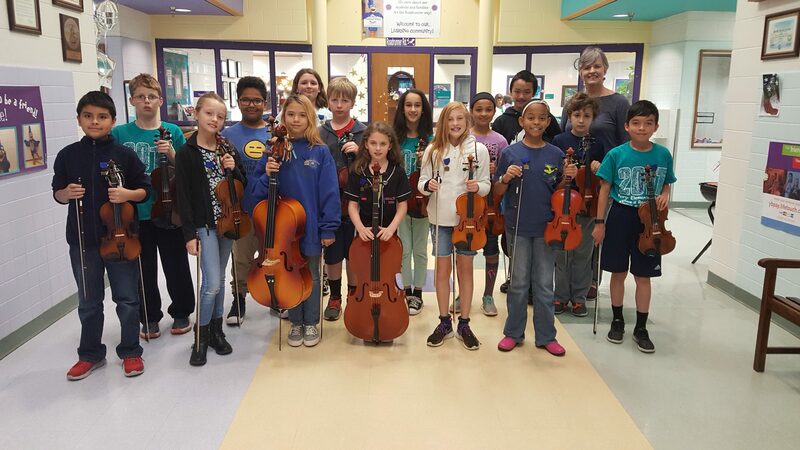 We are so proud of these hard-working students! 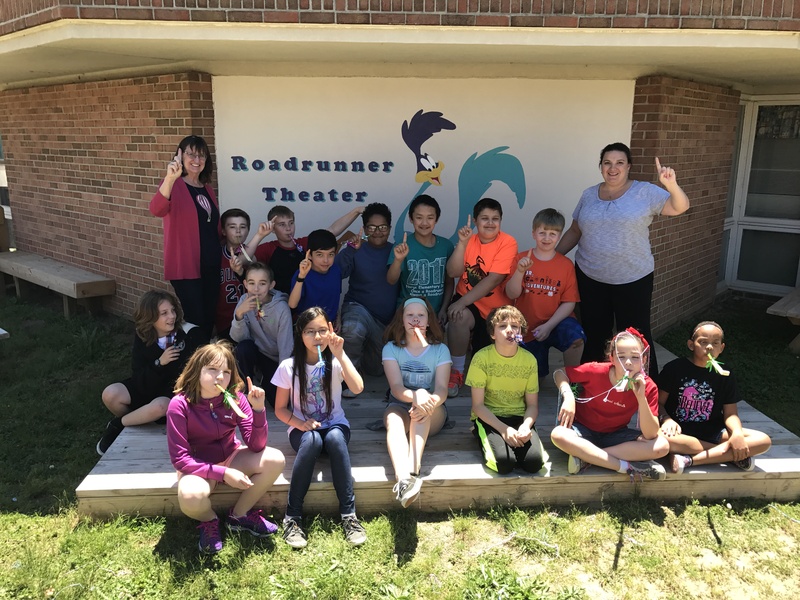 After several months of hard work, engineering, and planning, the 5th grade Rube Goldberg Team successfully completed their task of building a machine that would apply a Band-Aid! 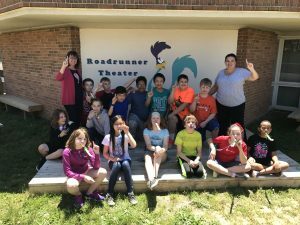 The team has submitted their design to The Elementary School Rube Goldberg Machine Contest and will find out on May 15 if they placed in the top 3 of all the teams that entered.